Do you need ideas for choreography? Do you want to grow in your dance technique? Do you want to make your dances more worshipful and emotive? 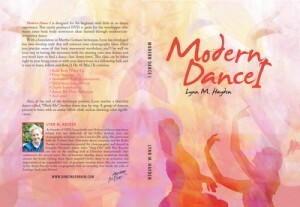 If so, the Modern Dance I DVD, by Dancing for Him, is a fantastic tool for you. Watch this short tutorial, teaching how to do the hip joint opener and read my review below. 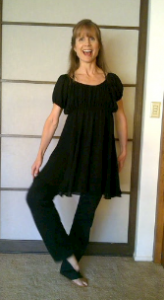 This exercise is based on the Modern Dance I DVD by Lynn Hayden of Dancing for Him, You can purchase that DVD, in my store. The Modern Dance I DVD gives you an introductory modern dance class for the dancer with a heart to minister through dance. It was designed to give dancers a movement vocabulary, using the fundamentals of modern dance. Beginning with floor work, moving to stretching and abdominal exercises, and finishing with across the floor work, Pastor Lynn first teaches each exercise, carefully instructing on proper form and technique, and then invites the dancer to practice the exercises with along with her and a team of worship dancers. I have used this DVD over and over in the two years that I have owned it. It has inspired my worship dance choreography. I love modern because the movements are emotive (using contractions) and earthy (using flexed feet and parallel position in addition to pointed feet and a turned out position) and fun. Because the DVD provides an introduction to modern dance, I find it provides a great model for the technique portions of my worship dance classes with children. Modern dance seems more accessible to the new dancer and to children than ballet. The parallel feet positions are easier for most children to imitate than the turned out position (and from there, I teach the turned out position.) It seems easier for children to learn to turn out after they have learned the parallel position. In addition, my older students are drawn to modern dance’s emotive and fun movements. 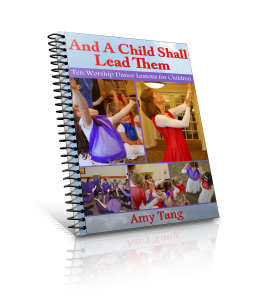 For the worship dancer who wants to express his or her heart to the Lord and to tell stories of God’s work in their lives, and for the emerging dance teacher, this DVD is a powerful and effective tool. 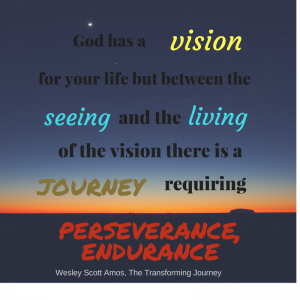 Click the image below for more information or buy now to order immediately You will love this DVD and gain great benefit from it.